The Malaysian Ringgit is now a currency in Tokeet. You may select this currency in your rental settings. This will change the currency on your bookings, invoices, expenses, and all other sections of Tokeet for the associated rental. For help changing your rental currency please click here. With the release of our new mobile apps we are also announcing the ability to deliver triggered messages via Push Notification. Push Notification is now an option along with SMS, Email, and HTTP Post for delivery of automated messages from Tokeet. This means that you no longer have to depend on SMS messages and incur the possible cost associated with SMS. 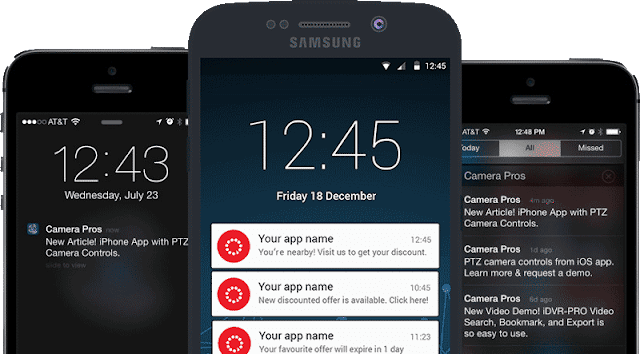 Push notifications are automatically delivered to all mobile applications of a registered user and saved within Tokeet for their review at anytime. Give it a try now and let us know what you think. Our new mobile apps are here! A unique experience for various Tokeet user types with rental and data restrictions applied. A completely redesigned bookings calendar, just for mobile devices. Search guests, bookings, inquiries, and invoices quickly. House staff can now check-in and check-out of properties during their assignments and also leave comments. All of your Tokeet feeds now flow directly to your mobile. Push notification delivery is now available within triggers so you can send a message without using SMS. We truly appreciate all of the feedback and support we received as we developed these new apps and welcome your thoughts on how we can make them even better. We're also working on some other very exciting features for mobile. Stay tuned! Thank you for being a Tokeet user.